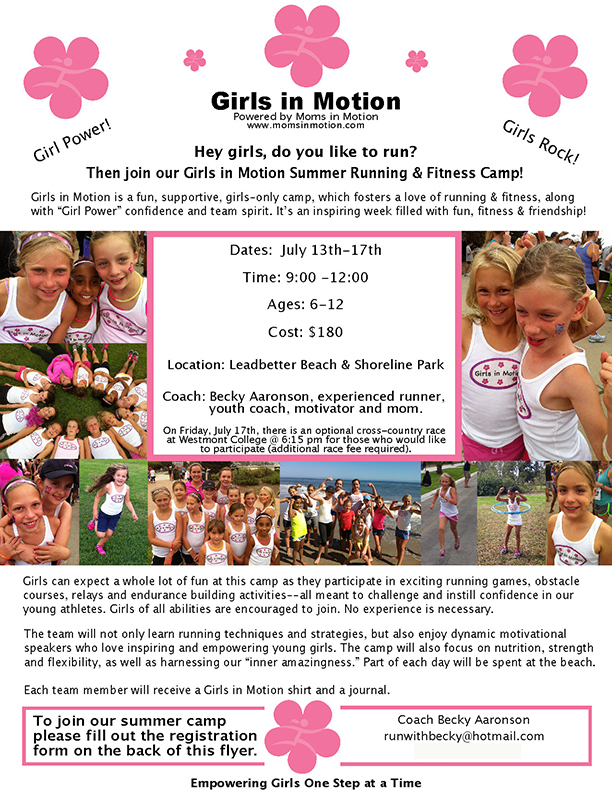 I’m so excited to be coaching my Girls in Motion running and fitness camp again this July! Sharing my love of running and empowering young girls is truly one of the highlights of my summer! All the details of this week long camp are below. I still have space available for girls ages 6-12 who want to join the fun and be inspired. For those who sign up with a friend or sibling, I’m offering a $35 discount for both girls. If you have any questions, please feel free to email me. Here’s to a fabulous summer ahead of fun, fitness and flower power!